When Steven Spielberg was talking about the latest "implosion" to hit theaters in the near future, he wasn't talking about his latest film, he was talking about the film industry in general. Speaking at the opening of a new USC School of Cinematic Arts building on Wednesday, Spielberg and George Lucas predicted an "implosion" of the film industry, saying that if too many pricey movies flop at the box office, then it will alter the movie industry all together and could result in moviegoers paying as much as $25 to see the next big blockbuster. Spielberg said, "You're gonna have to pay $25 for the next 'Iron Man,' you're probably only going to have to pay $7 to see 'Lincoln.'" He also said that Lincoln came "this close" to being an HBO movie instead of a theatrical release. Lucas agreed that changes were inevitable, saying that movies may begin to follow the Broadway play model. Meaning that fewer movies would be released, and the movies that are released would stay in theaters longer and would cost much more per ticket. 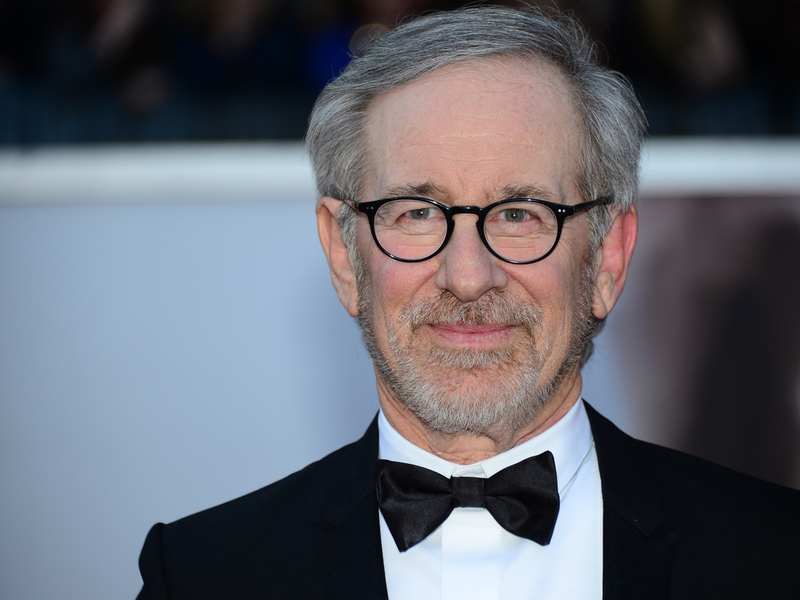 "That's the big danger, and there's eventually going to be an implosion -- or a big meltdown," warned Spielberg. "There's going to be an implosion where three or four or maybe even a half-dozen megabudget movies are going to go crashing into the ground, and that's going to change the paradigm." Lucas blamed the high cost of marketing movies and the urge to make them for the masses as the reason why films can't afford to cater to niche or take risks. He called cable television "much more adventurous" than film nowadays. "I think eventually the 'Lincolns' will go away and they're going to be on television," Lucas said. "As mine almost was," Spielberg interjected about his 2012 big-screen film, "Lincoln." "This close -- ask HBO -- this close." And if two of the biggest directors in American cinema are worried about the future of movies, so are we.